What is an unrealistic goal? It’s a goal so big that we can’t possibly succeed soon enough to before we lose our courage and give up. Everyone has had daydreams of being rock stars or winning the lottery, but we know that these are highly unrealistic. On the flip side, your children’s goals shouldn’t be so unimpressive that they can achieve them with barely any effort. They need to be practical but also require concentration. You should serve as a role model for your children in numerous ways, including setting goals. If they see you as unambitious or wanting to shortcut your way to success, they’re going to believe that’s the right way to be. Instead, you should show them just how you achieve your goals. It could be that you outline a plan, keep a journal, and give yourself a specific reward for meeting your goal. 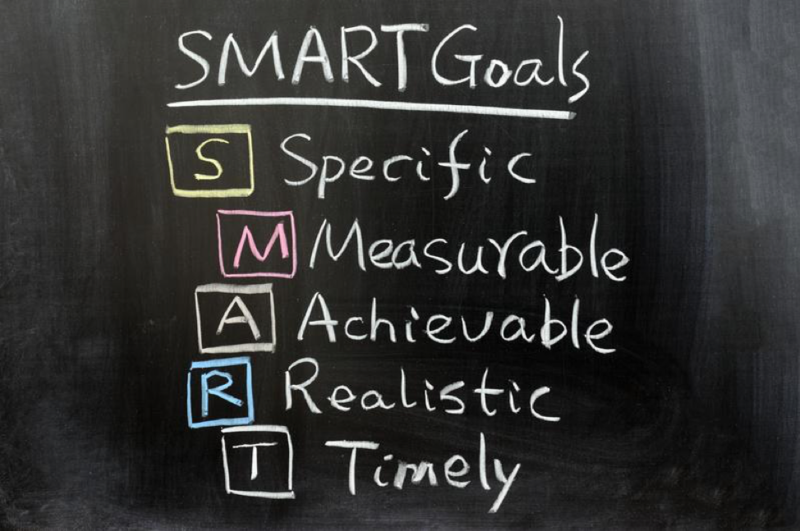 Being SMART with your goals means being Specific, Measurable, Attainable, Realistic, and Timely. You can’t just make a goal and then expect it to come true. An action plan like this allows you to properly audit your goals. Your children will realize that goals become much easier to handle when they are made with a strategy. A big reason many people don’t meet their goals is that their goals are simply too broad. They’ll make vague promises to themselves like “read more” or “exercise,” but they won’t actually get them done. Instead, you need to have specific and measurable goals. For instance, if your children want to make more friends, you could teach them to set a goal of making one new friend a month. Teamwork makes just about anything more achievable. Trying to achieve a goal can be much easier if there are people behind you. Bring your family together and work on a shared goal. You can encourage one another and give advice on how best to reach a shared goal. Teaching your children to set realistic goals isn’t about negating their hopes. When they know that they’re responsible for their future, they can make much wiser decisions. Their goals aren’t going to wait for them. They need to make them happen. Be sure to also check out this article on money goals for your kids to help them start achieving their financial goals today!